We can’t believe it’s already November and the holiday season is officially upon us! 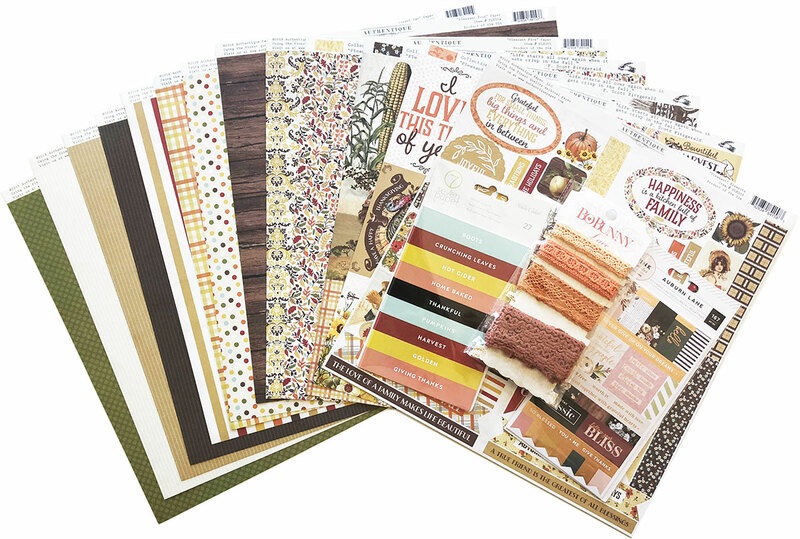 This month’s scrapbooking collection contains a colorful, bold and blossoming 12” x 12” Authentique Pleasant scrapbooking kit, along with beautiful inspiration on the other side. You will love all the colors, patterns and papers included in this collection. It includes 8 double-sided papers, which are patterned with Fall floral, dots, acorns, leaves, stripes and more. This collection is all about the changing season and captures the beautiful colors and foliage that comes from it. It’s colorful and warm with colors of orange, reds, yellows and is simply beautiful. 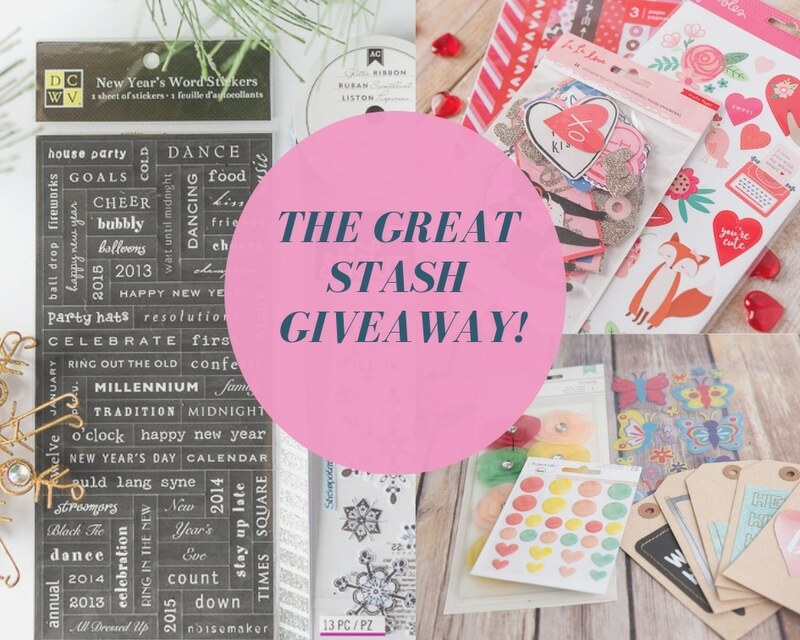 Along with premium papers this month, you will receive 4 coordinating card stock papers and a beautiful 12” x 12” die cut sheet! The sheet includes details such as labels, tags, flowers, titles, and detail embellishments to customize your creations. 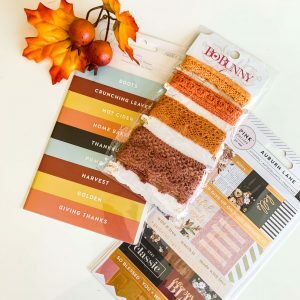 The Harvest orange lace is the perfect addition to any of your Fall projects. Its colors are warm and style is elegant. The Auburn Lane stickers are one of our favorites! The rose gold foil and floral detailing is just beautiful. We love how these stickers follow the theme of thankfulness and gratitude of the Fall season. Lastly, are the Elliott Label stickers. Phrases like “hot cider, Thankful, and Harvest” paired with colors of cool blue, deep maroons, peach, and gold and sure to highlight this season.